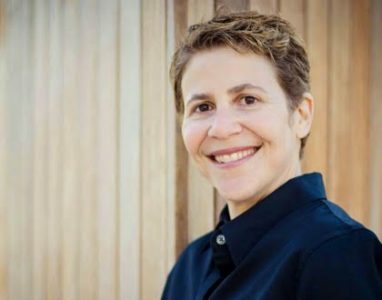 In Episode 18, Host Carol Ross speaks with Amy Sandler, a Harvard MBA turned meditation expert, corporate mindfulness trainer and executive coach. Amy has more than 20 years in senior roles in organizations including YPO, Vistage and UCLA, where she ran Executive Communications. One of the first 30 certified teachers of the Search Inside Yourself program developed at Google, Amy has trained thousands of leaders in emotional intelligence, mindfulness and neuroscience. As CMO for Radical Candor and a Candor Coach, Amy loves helping teams from around the world achieve more together than they could ever do on their own. Amy’s curiosity and spirit of self-discovery have led her to unusual places, including being a stand-up comedian at LA’s Comedy Store, fire-walking in New Mexico (five times) and getting a degree in screenwriting. Carol and Amy talk about the importance of humor as a leadership tool, what’s needed to unleash the power of our imaginations, and how an unfortunate accident at work led her to meditation as a daily practice. They also dig deep into emotions—how they impact the leaders’ effectiveness, the vibe of workplaces, and the bottom line. You’ll be inspired by Amy’s ability to find common ground, her compassion for herself and others, and her faith in choosing connection rather than separation, even under the most trying of circumstances. Listen in on how Amy’s life experiences have influenced her view of great leadership and engaged workplaces.